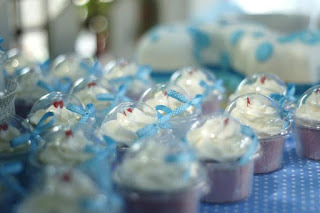 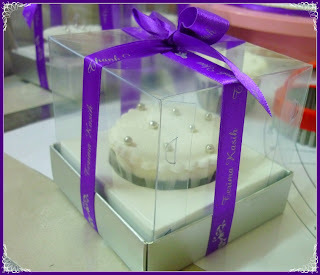 Cupcakes with simple deco in singlebox + ribbon as wedding doorgift. 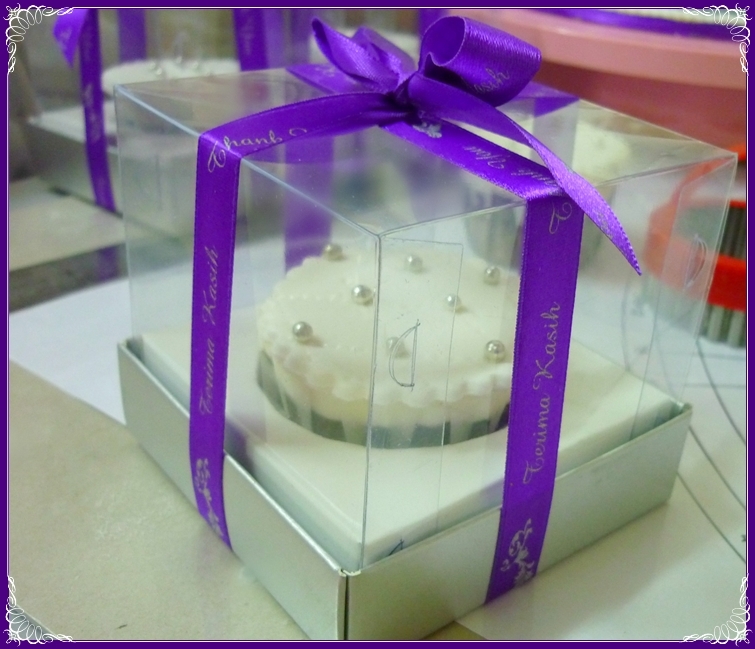 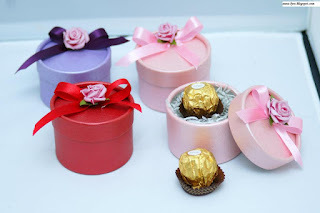 For VVIP doorgift (cupcakes) ringkasnya : Cupcakes in exclusive boxes + ribbon + customize tag + in exclusive paper bag. 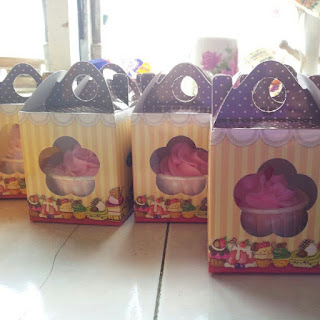 Design cupcakes juga mengikut citarasa customer.